Cover Versions, Get This!, Gone but not forgotten, Hard-to-find, Live! 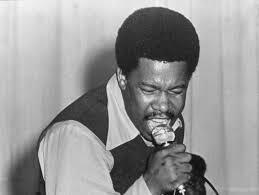 Eddie Floyd was the big haired, big voiced vocalist of such soul nuggets as Knock On Wood, I’ve Got To Have Your Love and Big Bird. An ode to flight, Big Bird was reputedly written by Floyd in Heathrow Airport as he waited to board a plane to Memphis for Otis Redding’s funeral. That’s how the legend goes at any rate. Floyd was also a staff writer at Stax, and co-penned all manner of lesser known gems recorded by the likes of William Bell, the Staples Singers and Carla Thomas. You could do worse than spend an evening digging deep to uncover his work. It’s all terrific stuff, but one Eddie Floyd song stands afro’d head and shoulders above all others. 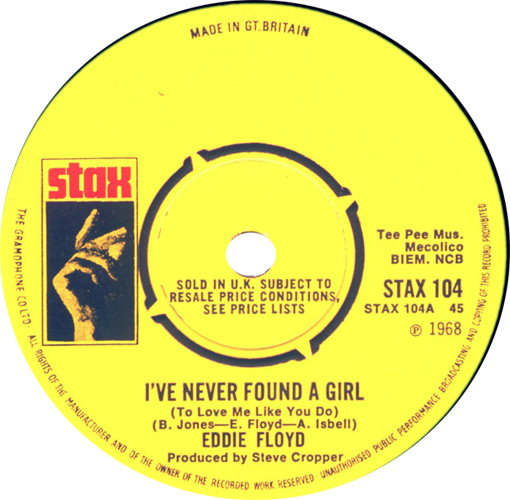 Eddie’s masterpiece is 1968’s I’ve Never Found A Girl (To Love Me Like You Do). Played by Floyd with the help of in-house Stax guns for hire Booker T. Jones (who played bass, guitar and keys (!)) and Al Bell, and produced by the MGs Steve Cropper, the song would eventually peak at #2 on the US R&B charts. As a wee aside, you could do worse than spend another evening comparing Booker T’s guitar solo on this track with much of Edwyn Collin’s Memphis chording on some of those mid period Orange Juice records – the intro to I Can’t Help Myself for example. 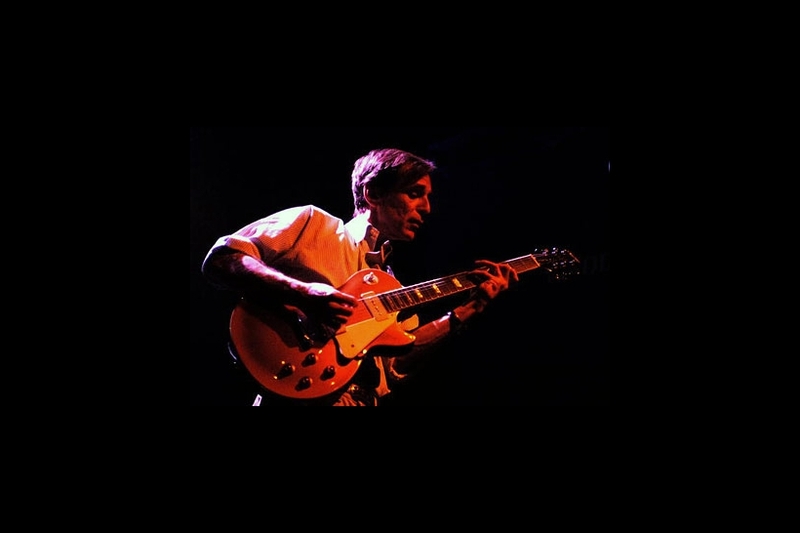 Cult hero to the stars Alex Chilton has recorded a couple of versions of I’ve Never Found A Girl, most thrillingly in Glasgow backed by a Teenage Fanclub who gamely hold steady the backbeat and offer enthusiastic backing vocals whilst he chops out gritty little riffs of electrified southern soul atop it. Recorded at the 13th Note in 1996, in this pre (for me) internet era, I walked into work the morning after the show to hear all about it for the first time. Nowadays of course, you’d never get a ticket for this kind of thing for sticky fingered touts. But back in the day it was good old fashioned lack of information that meant only the hippest of the hip, with a finger to the pulse and an ear to the ground, got to such events. The bastards. Here’s Al Green‘s version, rather tame by comparison, but nonetheless a worthy inclusion to this post.